This post is sponsored by Runner Click – thank you to the Runner Click team for supporting this blog! During yesterday’s run (5 miles, moderate pace) I did something that I’ve never done before. I listened to music during 80% of my run. I never listen to music when I run outdoors, but I had “Roar” by Katy P. stuck in my head all day and I needed to listen to it on repeat … what better time to do it than while running? I thought that maybe listening to music would make me run faster, but actually during the last mile I turned the music off and that ended up being my fastest mile. Go figure! You can’t tell from this picture but it’s really big! It looks great! This weekend I’m going to get some new Brooks Adrenalines. 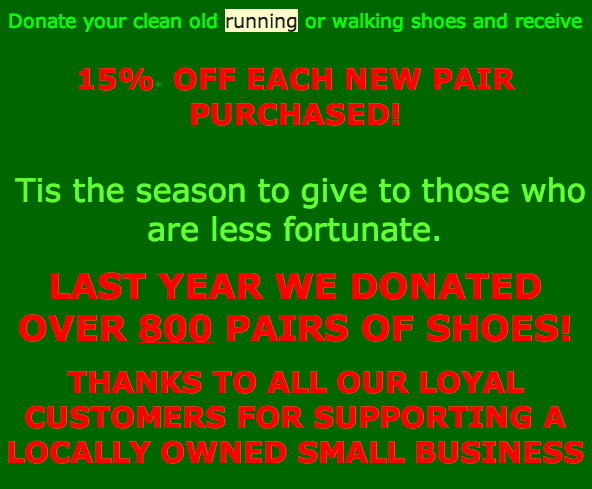 My local running store is giving 15% off a new pair of shoes to anyone who donates a pair of shoes in store. Last year they donated over 800 pairs of running shoes! The people at my running store are super nice. I just wish they would not use red type on top of green, but for 15% off I will forgive them! (The marketer in me is cringing hard though, I can’t help it!). 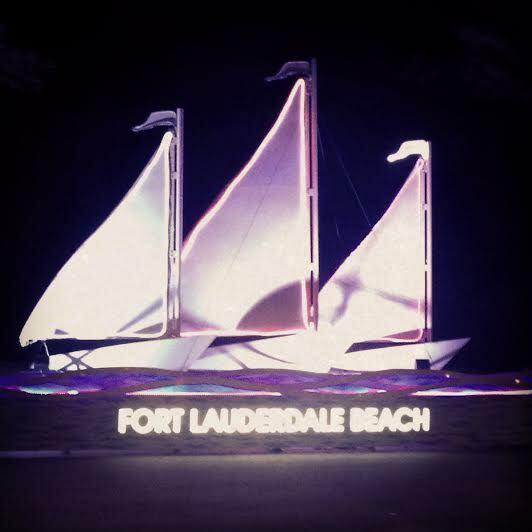 If you live in or near Fort Lauderdale stop by Running Wild and donate a pair of your old shoes! (I was not paid to say any of this, I just think you should take advantage of the deal if you can!). My car will be getting new running shoes (aka new tires) this weekend. Running shoes and four new tires on top of Christmas shopping means I will be spending approximately my entire life savings on Saturday. Just kidding, but really, tires are expensive. 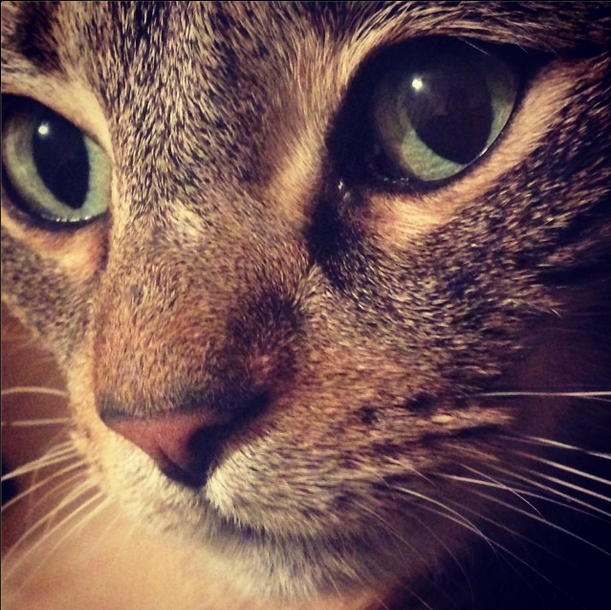 Finally, I will leave you with this closeup of Cecil. Do you donate your running shoes. throw them out or keep them because they have sentimental value? Next Post Portland and I Made It Official. Tires are certainly not cheap. I was thinking about getting snow tires for my little Ford, but then I decided to buy a house and spend my whole life savings on that. Plus, I’m not driving the car all that much anyway since I take the bus. The Houston marathon collects old running shoes and puts them to good use. I am donating about 8 pairs to them this year. I might keep the pair that I ran my first marathon in though. for some reason I can’t seem to let them go. Cecil is so beautiful! Makes me miss having a cat. They are awesome creatures hey. Great idea from that shop, but yes, that sign hurts my eyes! I guess it’s festive and Christmassy? Hooray for new shoes…getting them early is the best way to avoid injury etc. But boo on new tires…I’m putting off getting mine. I know it’s dangerous, but they’re SO expensive!